The Rocks is the area from which the sailors disembarked on the First Fleet on January 26, 1788 and the location of the first British settlement in Australia. 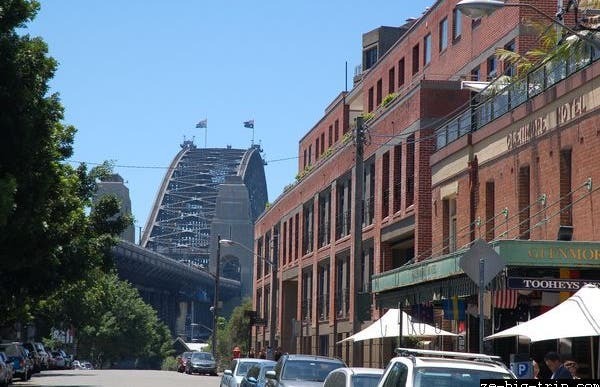 Today it is the historic old quarter of metropolitan Sydney, located between the Sydney Harbour Bridge and the Sydney Opera House. Historic pubs, colonial cottages, archaeological sites, a store recreated in 1915, a Gothic church, stone paths and patios with vegetation and many shops and restaurants can all be enjoyed in this area.